In this fast-moving world, delay in minutes can cost you millions. Missing a single important email may result in the loss in business or even your relationship. To match your fast-paced life, Hotmail has introduced Hotmail mobile app. Hotmail also is known as Outlook mail can also be accessed via mobile devices. You can create, edit and reply emails instantly from the mobile app and get instant notification for new email. 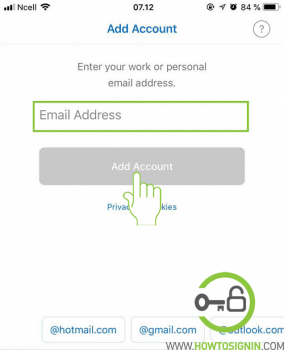 The app will save time and increase your productivity and keep you seconds away from your inbox. 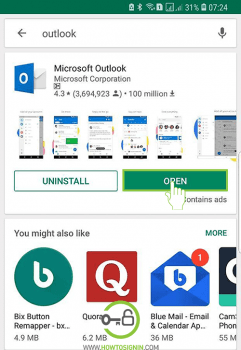 Though there are many 3rd party app for Hotmail access in mobile, we recommend you Official Outlook mobile app which works flawlessly and keeps you connected with Hotmail emails, contacts and calendar. 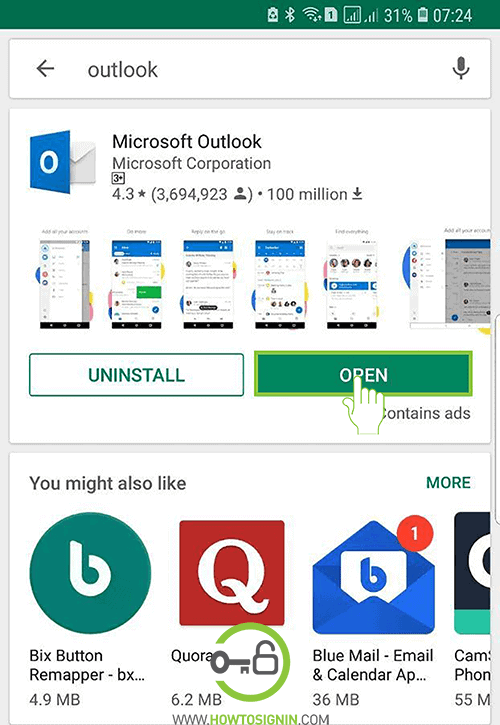 You can even connect your OneDrive, Dropbox, Google Drive storage service and send/receive files directly from Outlook app for iPhone. 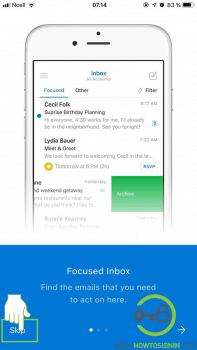 Download Outlook App from the App store, which is named Microsoft Outlook – email and calendar. 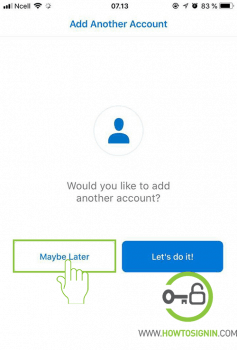 Open Outlook mobile app and click ‘Get started’. You can select ‘Notify me’ option, so you don’t miss any email or calendar event. Enter your Hotmail email address and tap ‘Add Account’ you can add Gmail, Yahoo mail and other mail also in Hotmail mobile app. Tap on the icon of Your email provider. 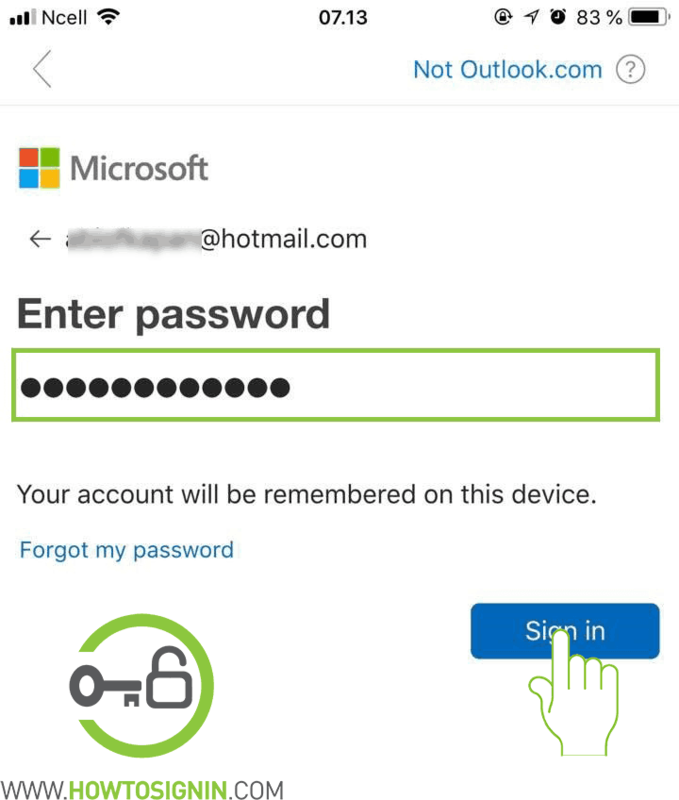 Tap Outlook.com if you’ve entered Hotmail account. Enter your Hotmail password and tap ‘Sign in’. In ‘Let this app access your info?’ page scroll till bottom and tap ‘Yes’. 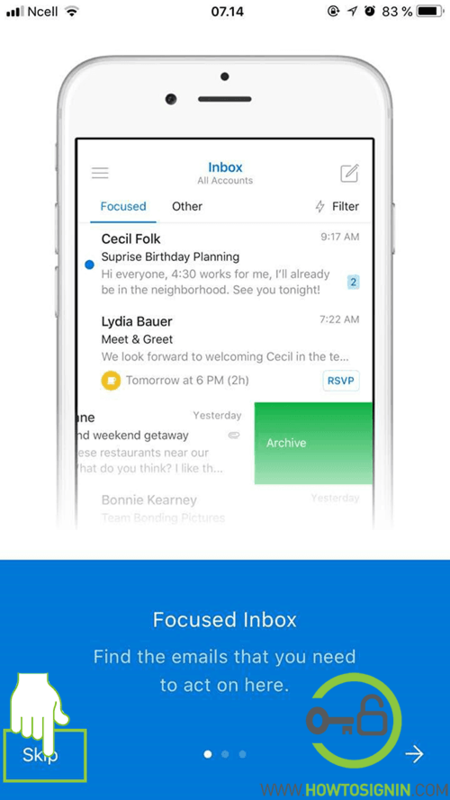 You can skip or check out feature like ‘focused inbox’ ‘calendar’ etc. And you will reach into your Hotmail inbox. Install the ‘Microsoft Outlook‘ app from Google play store. 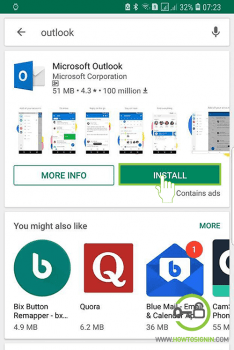 And you will reach into Hotmail inbox after a short introduction of Outlook mobile features. 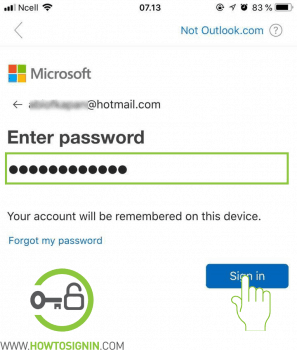 If you do not want to use Hotmail mobile app or to use someone else’s phone, then you can follow this Hotmail login process.